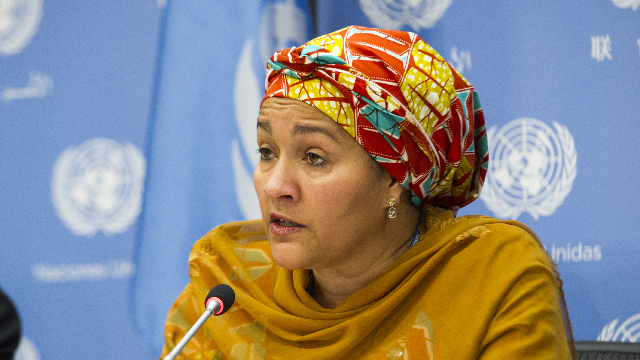 The Deputy Secretary-General of the United Nations and former Nigerian Minister of Environment, Amina Mohammed, yesterday led a UN delegation to Acting President Yemi Osinbajo at the State House in Abuja. Addressing State House reporters, she called on government to increase its investment on women development. She said her team visited Osinbajo to discuss the implementation of the agenda 2030 and 2063 with a view to seeing how Nigeria could be supported. She said: "it's an exciting time to be here because really we are talking about the implementation of the agenda 2030 but also 2063 and for us, it's about how do we support Nigeria and it's a very difficult context to do more and to do scale so everybody feels it. "We know that there many lessons that have learnt and there challenges that we have but we have some successes from the North East all the way to the South. "We want to make sure that we do more so that we can see the scale of this, particularly from the women at the centre.